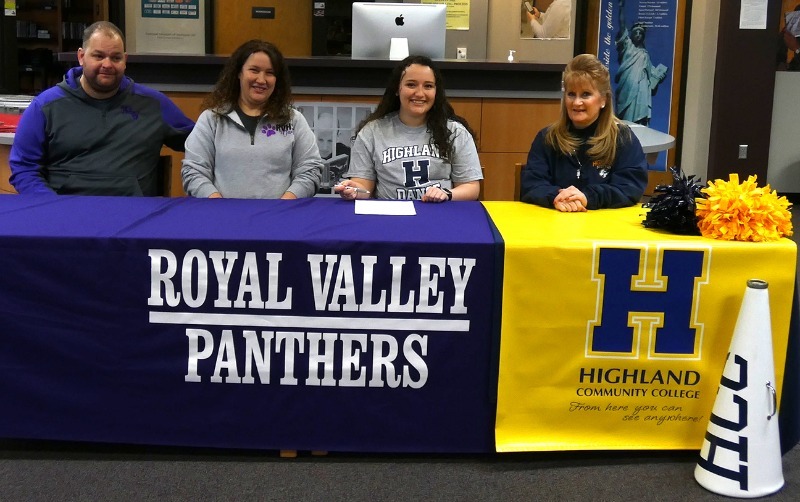 On Tuesday, February 19, Holly Mitchell signed to dance at Highland Community College for the next two years. "It was really exciting to have all of my closest friends and family there to watch me sign. I'm really excited for he future," exclaimed Holly. Pictured left to right: Brandon Mitchell, Heidi Mitchell, Holly Mitchell and Melanie Rose, HCC Dance Coach. 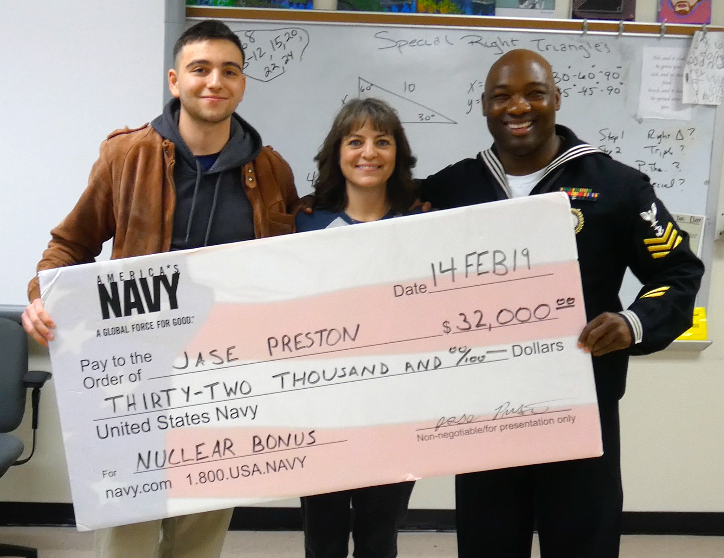 Jase Preston is receiving a $30,000 check from the United States Navy. 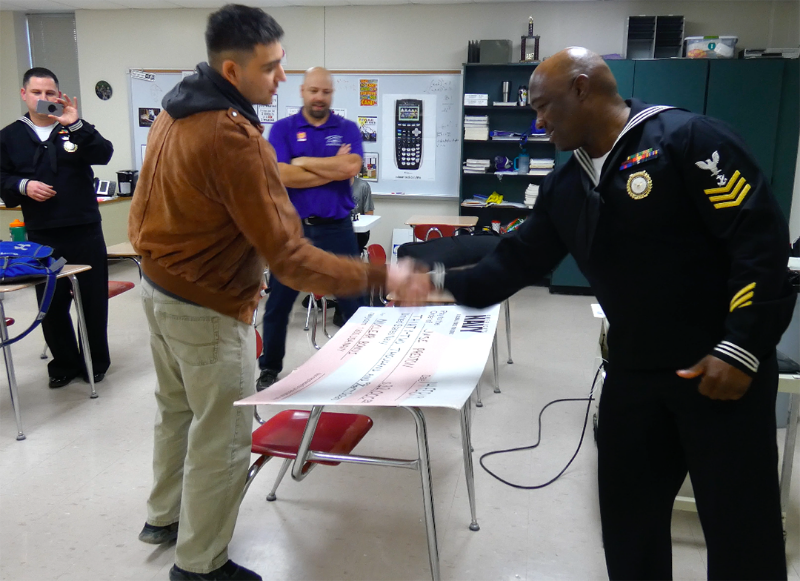 He is going to follow the nuclear engineering program and the money is a signing bonus. Jase said, "I am excited to start the Navy and travel places!" 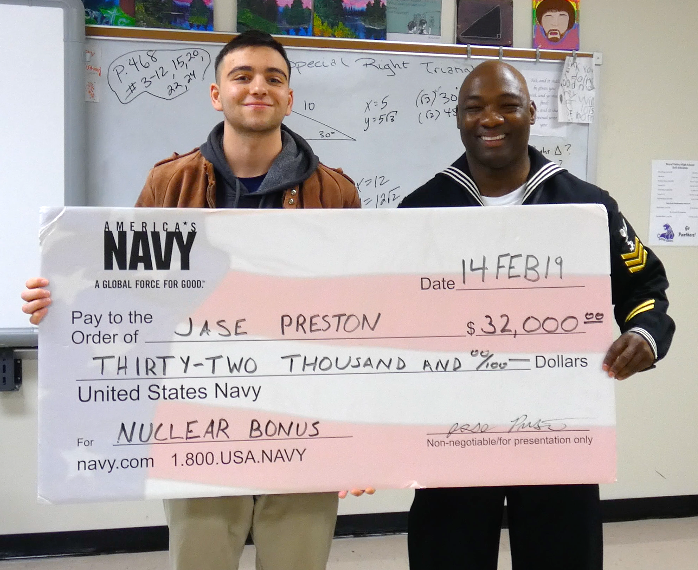 Jase wants to start the Navy because it will allow him to travel and go to school for free. He had to take a few tests in order to get accepted into the program. He first had to take the ASVAB and after that he had to take a classified nuke test. He did really well on his tests. 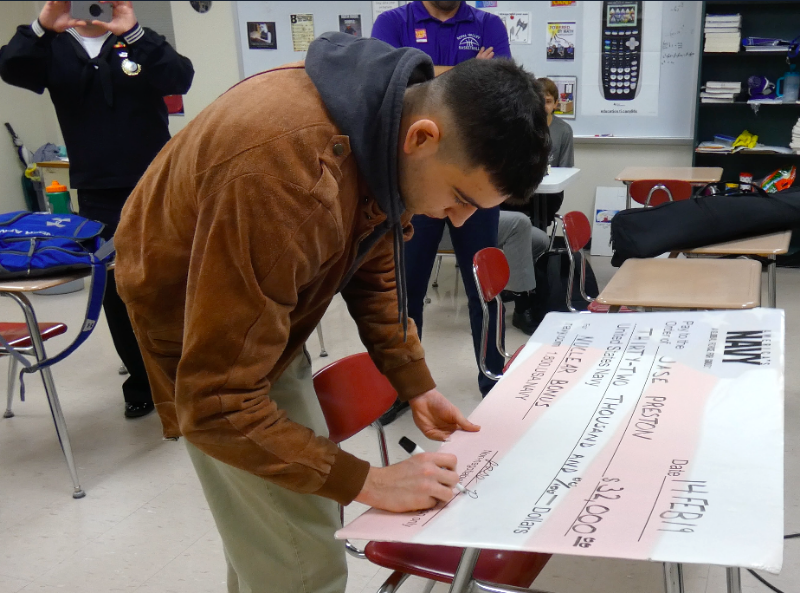 Jase is receiving the 30 grand check at his signing as a bonus for joining that particular program. He will receive this money after he graduates his program. "We are very proud of Jase for pursuing his dreams," remarked Kain Fink. This summer Jase has to attend an eight-week boot camp in Chicago. He will be learning military orders as well as physical improvement. 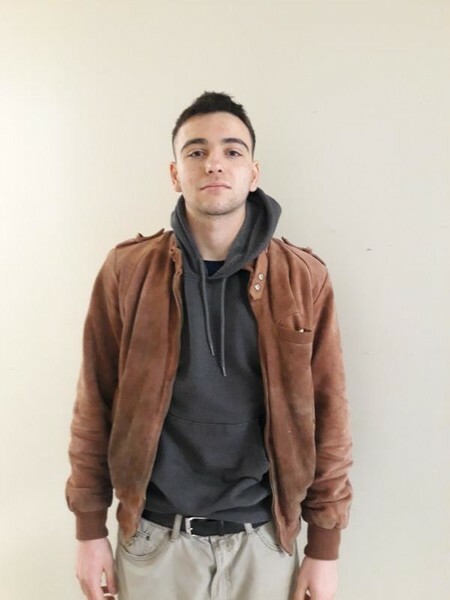 After he graduates from college, he is hoping to work on a submarine. His job will consist of working on the nuclear power engine to keep it running. Royal Valley is proud of Jase's accomplishment!